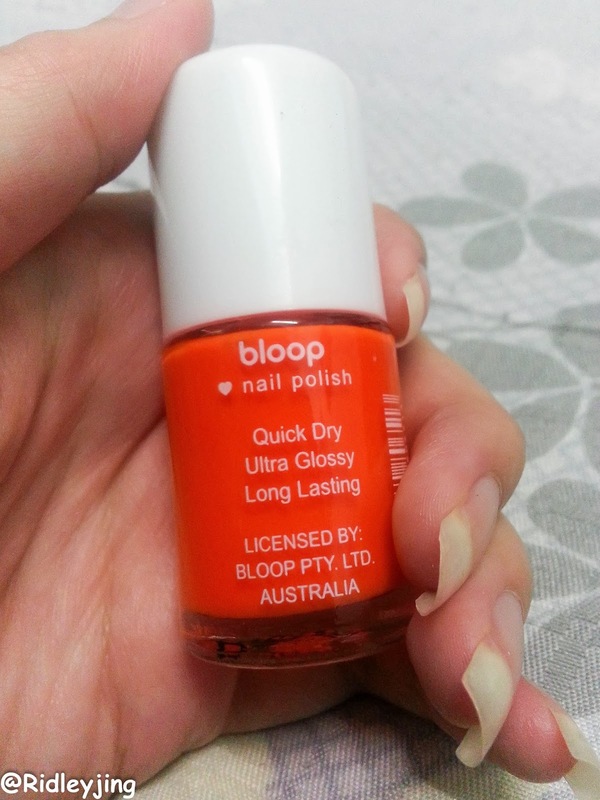 Today will be a review post about a nail polish -- Bloop Nail Polish! The color i got is H212, which is the neon orange. lol. It's my first time to try on neon series color, so i kinda looking forward to the result at the end. lol. 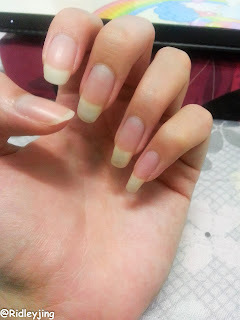 Here my nails before apply the nail polish. 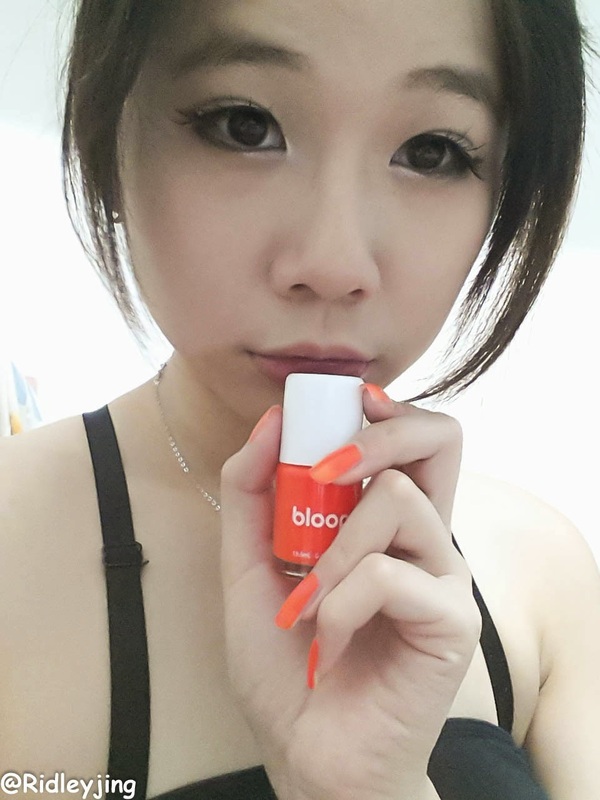 And here's the result after applied the nail polish! I personally like the color because it's bright enough. 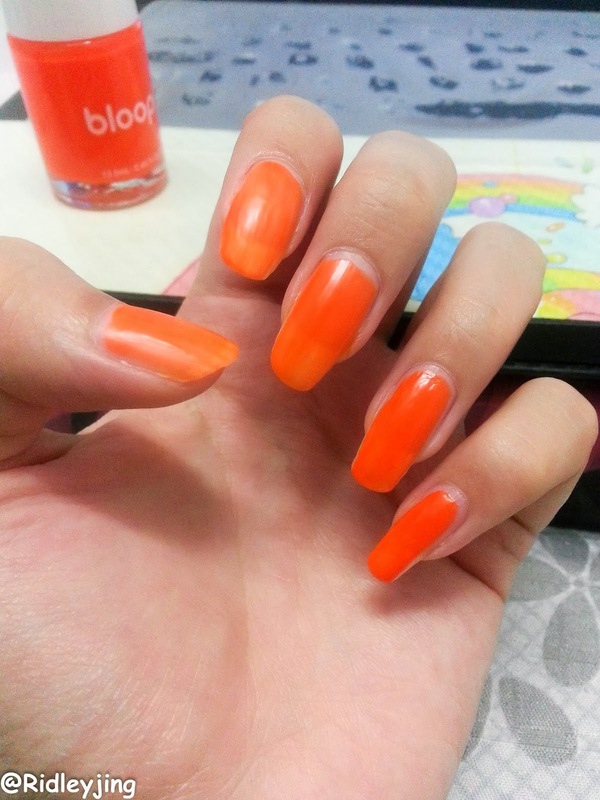 I never thought that neon color will gave such a pretty result, maybe next time i will go more on neon color for my nails. lol. 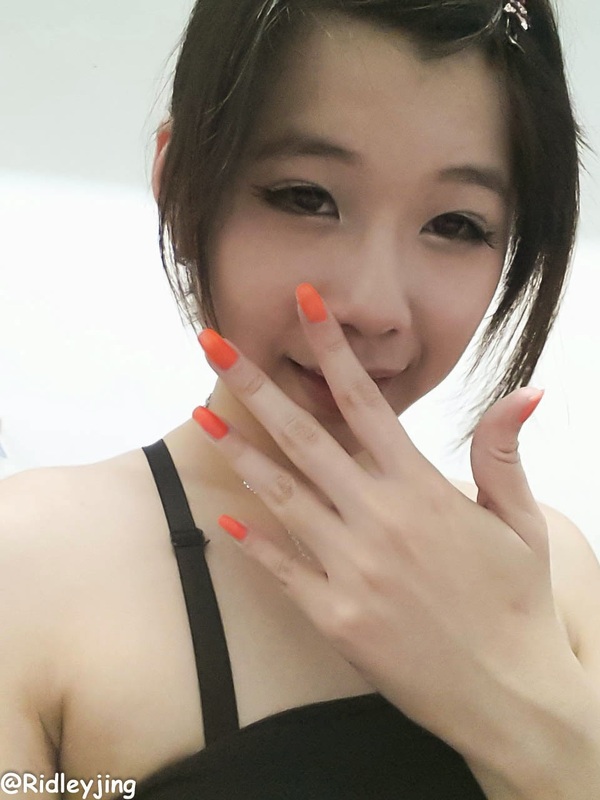 And it was my first time to try orange color on my nails. At first i thought it might looks weird but i'm totally wrong about it. Another nice feature is, it dries up very fast, after applied the nail polish, it dries up approximately in 1 minute. 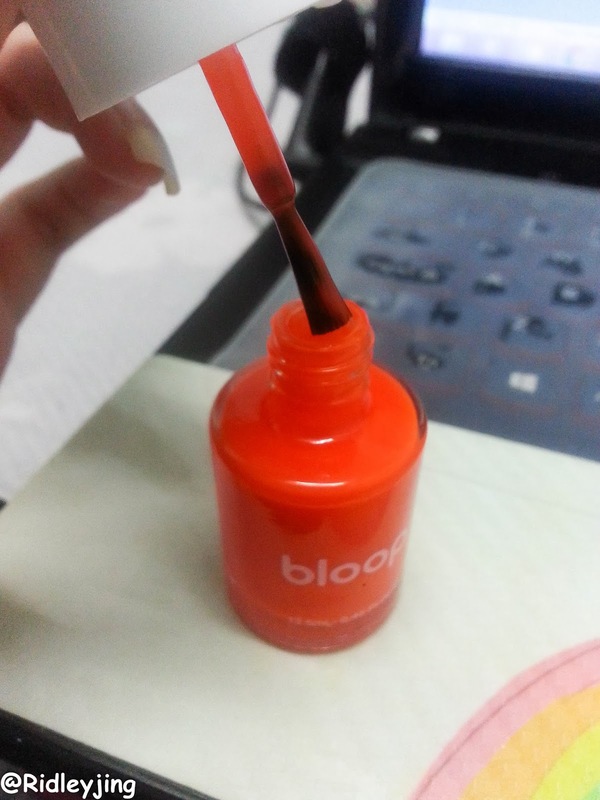 Now, i don't have to wait for long hours just for the nail polish to dry up. And for this color, it's quite glossy actually because of the bright color. 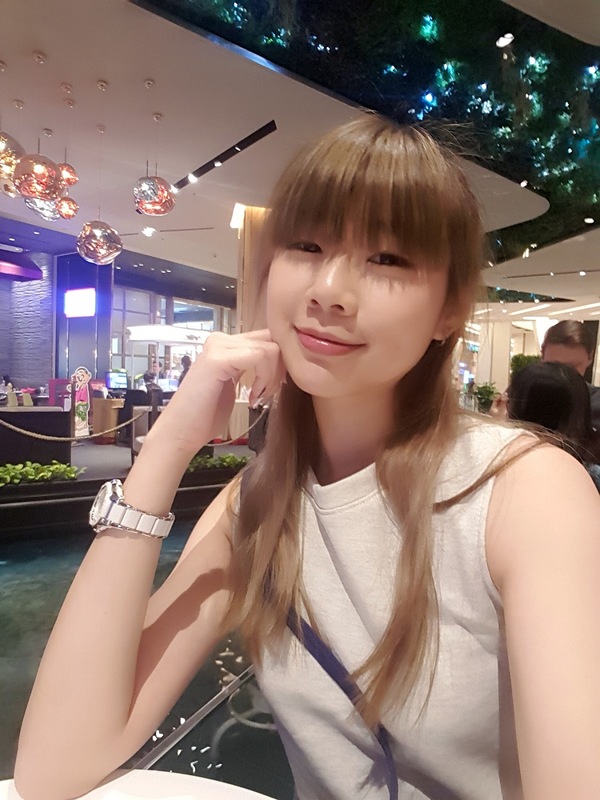 About the long-lasting feature, maybe i shall wait few more days to experiment it. lol. 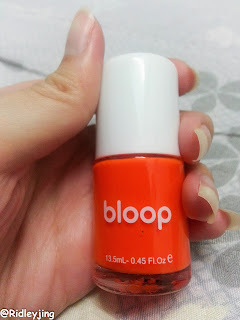 Totally in love with Bloop Nail Polish. Of course it's not only orange color, there are many other colors available.